Gateshead Council has taken to social media to reassure residents that street lamps will not give them cancer, following a number of online scare stories. The council posted a lengthy statement on its Facebook page earlier this week to “set the record straight” after reports some individuals were “frightening local people” with false stories about the street lights in the area. 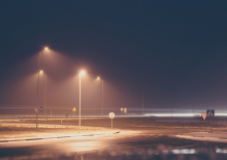 In the statement, the local authority declared that the local street lights “will not give you cancer” or induce miscarriages in pregnant women, or cause insomnia or nosebleeds. It added the council is also not “carrying out secret government trials” with 5G technology via the street light system. “We don’t know how these conspiracy stories start, but we are happy to report that this is exactly what these are,” the statement added. “These tales are completely untrue and you should ignore them. “Please be assured that there is no scientific basis or credible evidence for any of these scare stories about street lights causing cancer and other illnesses. “We’ve taken advice from Public Health England who reviewed guidance issued by the World Health Organisation, the International Commission on Non-Ionizing Radiation and others, and they have confirmed that there is no risk,” the statement adds. This is not the first time a local authority has been quizzed about bizarre rumours or secret trials. In 2011, Bristol City Council responded to a Freedom of Information request on whether it was prepared for zombie invasion by saying it had a “top secret plan”. According to the response, the council said it had four alert states, including ambient zombie level and pandemic level.